Sorry, meant to say God guard all those and help those who are suffering. Very sad. There are just too many disturbed bastards in the world. Politics are not the root of evil -- only seriously sick indviduals. Isn't really a problem here but Muffy and I are posting this message in all the threads. REMINDER: WE REQUIRE WHEN POSTING A QUOTE OF AN ARTICLE OR EVEN ANOTHER POSTER THAT YOU EITHER SUPPLY THE LINK OR QUOTE THE POST. PLEASE DON'T JUST SAY "ACCORDING TO", OR "I READ". WE ALWAYS WANT A LINK BACK TO THE SOURCE. WE HAVE NOTICED RECENTLY PEOPLE HAVE BEEN NEGLECTING TO DO SO. THANKS! Was your attempt to get a ticket for your SIL successful? I am concerned about the safety of Beth as well as those in attendance. I have been informed that the weather forecast for Waterford later in the week is "iffy" in regards to snow conditions. Other than admiring the Christmas card scene that can be viewed from our living room window ... I hate winter!! When her daughter went missing in Aruba, her life changed forever. How does one muster the courage to persevere in the face of sheer adversity? Do we all have the capacity to overcome tragedy? How does one keep going? You will be uplifed by the remarkable story of Beth Holloway. How does she stay strong. Imagine being able to apply her philosophies of courage, dedication, faith and strength to your own life. I am not a weather forecaster, but the storm moving up the coast should arrive tomorrow night and into Wednesday morning in our area (according to recent reports). It's supposed to be fast moving, but air travel and such most certainly can be affected. In fact, I'm not sure if Atlanta's airport is getting back to 'normal' after their hit with this current snow/sleet storm track. Thank you Klaas and anonymous contributer. I'm surprised it is estimated to take 25 days. Thought it would be shorter. Frankly, I wouldn't be surprised to see the Kalpoes back out at the eleventh hour. Diamars atardi autoridadnan policial a haya e informe cu lo mester tin un homber morto na Hooiberg. Na nan yegada ta bin topa cu un homber cu no ta duna señal di bida den un auto. Tin tur indicacion cu e homber aki lo a usa e maniobra di pone un slang na e muffler y manda esaki paden di e auto te cu e persona a stik. tuesday nightfall autoridadnan policial owing to achieve the informe cu will have to have one man dead at hooiberg. at they arrival is come come across cu one man cu do not give sign of life in one car. have all indicacion cu he here will owing to using the maniobra of place one slang at the muffler y send this inside of the car till cu the person owing to stik. Ta trata aki di e cabayero Rene de Kort nasi na Hulanda dia 28 di Januari 1944. E la wordo haya den un Nissan Pick Up A-45841. I would have thought that this late date those precious little tickets would be hard to come by through the regular channels. Other than snow possibly creating problems ... I have only positive thoughts regarding Thurday evening. Warning, the BS gets pretty deep in this one. question: if all air traffic activity is recorded as minister says, how come we have no records of a 'mistery flight' in may 2005 with a 'Holloway' passenger aboard? Carl Gerold Gomez Where is Julian Assange when you need him?? Reymundo Kelly Hmmm...why indeed,very strange !!! Lilian Kock bai na universel aviation y nan si tin e record!!! Renée Gielen ‎@Lillian: the records disappeared! Lilian Kock Hhhhmm...straño ami a traha e vuelo ey e dia anochi ey. Armandito Villasmil Have you ever heard of Occam's razor? Armandito Villasmil In this day and age you google or check it out at Wikipedia... But it is based on the idea that "simpler theories are, other things being equal, generally better than more complex ones"
Tito Lacle ‎@ villasmil.. I know.. but wasnt in a place where I could google..
Margaret Wever ‎@Lilian...e vuelo Holloway of e vuelo "dilemma Dec 30/31"
Nicey Morgan ‎@ Tito - Am sure all flights are recorded. Touch down/ Take off. Margaret Wever ‎@Lilian...what are the odds of that...abo a traha TUR dos vuelo? OMG. Ay no, suerte no ta companjabo...aunke, si bo tabata un part time reporter...WOW! Tito Lacle ok.. false alarm.. was referring to the return flight of natalee to the states..
Lilian Kock hahaha@ Tito bo ta echt ta kere e vuelo ey a excisti??? Tito Lacle R u talking about the AA flight? Evelyne Wong U have seen A Few Good Man? Patrice Hawkins ‎???? she left under a different name???? Maria Tromp different Minister, different (cover-up) procedures! Judella Werleman Damn...Holloway AGAIN??? Sick and tired of her..........y tur e alabansa cu nos ta duna e case aki !!!! Maria Tromp Sick of it ..si of no... solamente si tur cos sali na cla kk a pasa, Aruba lo stop di hanja e attencion relaciona cu e caso aki. Na tur esnan cu ta fada: "het zal je kind maar wezen". Tito Lacle maria and judella.. I hear you.. really..
Judella Werleman Mi ta compronde cu elo ta moeilijk pa un mama perde su jui: SI DI BERDAD E JUI TA PERDI. Paso un hende NO por desaparese asina ey, dus pami e ta un complot cu lo trese HOOOOPI problema pa jen di hende, dus ta mihor cu e tal Joran ey haya culpa, cu jen di otro hende haya culpa. Y e promer culpabel ta e propio Nathalee cu a subi den auto cu hende cu e no echt conose.........pero segun mi e ta un setup di e familia mes y si NO ta asina mi ta hopi sorry pa e mama, pero STOP di CULPA ARUBA, SICK of that. Henter un isla no tin culpa di esey!! manera Maria a bisa, different Minister, different (cover-up) procedures! Renée Gielen ‎@Dilma, if tihis girl left legally but entered illegally, what did Immigration do upon her departure, not having an entry ticket? Dilma Arends Geerman I guess Mr. Pietersz should have the answer to that, right? Vivian Wever I always entertained the theory that she left 'legally". Why? Because when her mother came to Aruba and went to Natalee's hotel room she stated: Natalee's passsport was neatly on a table. This statement bothered me. Usually girls or nobody for that mather leaves their passport on a table while they are still going out the night before. And most importantly: the passport is too obvious placed to confuse that she did NOT leave the island. While we know she could leave with another passport or ID. I dont think it is extremely difficult in the US to get false IDs. The passport always appeared "planted" to me. it was mentioned various times: she did NOT leave the island because her passport is here!! 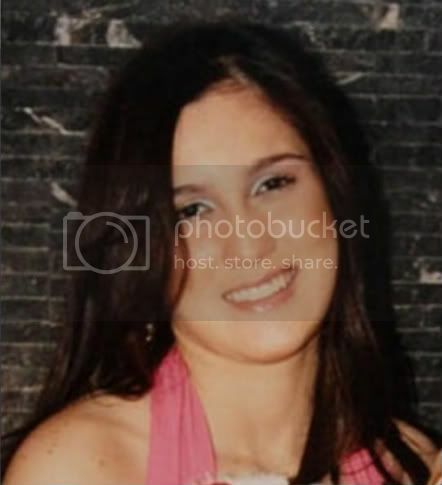 Vivian Wever Why has it never been disclosed whether there was a life insurance on Natalee. I heard a radio inverterview of the mother where she was asked about life insurance. She stated: I never closed a life insurance on Natalee! She did not say that there was no insurance. Vivian Wever Aruba should have high definiton cameras to record everyone who arrives and leaves the island, to prevent future scams. Ricardo E. Yarzagaray ‎@ Tito: except for the second case of Stefany Flores ..... "all things being equal...?" Renée Gielen ‎@Vivian, as far as I know. 1. At the time it was not necessary to enter and leave Aruba with a passport, coming from US. However, all the kids had their passports with them, and as mentioned in documents, the chaperones held the passports. 2. If the chaperones held the passports, how come that Natalee's was on her bed? Maybe she needed it, because it is said that she withdrew money the day before she disappeared. And then, as I found out, she left the island with a different passport. And even that is not that strange, because she may have applied for an adult passport before she left, which left her with 2 passports. Can you still follow? 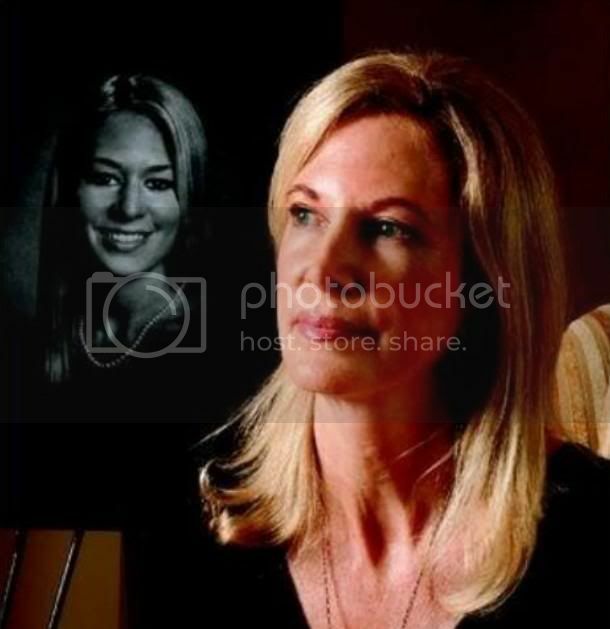 Renée Gielen ‎@Ricardo, In my opinion, based upon info, the moment the Holloway case is solved, the things leading to the Peru case will become very clear. Renée Gielen ‎@Vivian, there was a rumor that Beth asked for a death certificate on june 10. But as I did/do not base my investigation on rumors, I did not pay attention to this. 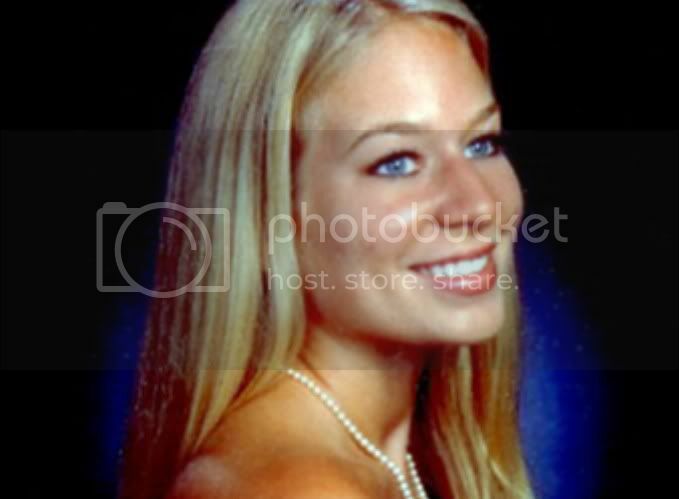 But, in may 07, Beth declared in a document, signed by an notary, that, based upon everything that happened, she could not conclude otherwise than that Natalee must be dead. And that is not a rumor!!! Ricardo E. Yarzagaray ‎@ Renee: Really!? Tell me more! BTW, there where only 4 chaperones for the 120 students. Check your facts. Renée Gielen ‎@Ricardo, there were 6 or 7, not 4......facts! Ricardo E. Yarzagaray Maybe, but still to few. 1. Listen, you are trying, it would seem, to convince people that Joran is innocent but the fact is that he most probably murdered Flores and that makes the assumption of innocence very, very slim. 2. You also fail to acknowledge, it seems, to remember that big screw up of the trio Van der Straaten, Karin Janssen and Paulus Van der Sloot the (R.I.P.) with regard to the arrest of those two poor black security guards and -4.- trying to impede the lawyer Lejuez access to them while -5- at the same time NOT arresting the three suspects (Joran and the Kalpoe brothers) after they told LIES about dropping Natalee of at the Holiday Inn!! 6. That was very bad and indicates a cover up as well as rampant in fighting in the prosecution's office. 7. The memo of June 10 2005 (if I recall correctly) sent from the Court of Appeals in Willemstad forbidding any judge stationed in Aruba was not complete. It should of ALSO have forbidden any prosecutor (Karin Janssen) working in Aruba to touch that case since Paulus Van der Sloot worked for a very long time at the Attorney General's office (maybe you know exactly for how long?). Vivian Wever ‎@ Renee: was this a notary in Aruba? She tought is was easy to get a death certificate in Aruba but this is not the case it is not easy. Renée Gielen ‎@Ricardo, I have never tried to convince people that Joran is/would be innocent. Never ever. I have tried to convince people that there is a complete different side to this story. That is it. I started investigating this case in june 05 ...(after TweeVandaag sent me to Aruba to make a report about the case and to interview Beth H.). More interviews followed for Dutch news stations. Last month Antilliaans Dagblad as well as RNW interviewed me again about the case, there as well you can read my thoughts about the case. @Vivian, no, this was an Alabama notary. Ricardo E. Yarzagaray ‎@ Renee: Noted, however there is a thin line between "other side of the story" and bias. For this reason I summarized the most relevant highlights which in my view should indicate to anyone that after the Flores murder one should review and re-assess what went wrong ...... on all sides. Renée Gielen ‎@Ricardo, I am not biased, nor tunnelvionaired and Joran plays no role in the truth. Nor does his late father, or Karin Jansen. That is what I found out, but we can agree to disagree. I investigated the US side of this story, and came to some shocking conclusions. Sorry to sound stubborn. I would love to explain, maybe I can do a lecture on Aruba, with all mayor US media present. This is all about trial by media, not by facts. IMO It is the other way around, when the NH case will be solved, the Peru case will be much more clear. And the very important role of FBI as well. Ricardo E. Yarzagaray ‎@ Vivian: The point is that the reason why there is no hard evidence or smoking gun in the Holloway case is because the prosecution dropped the ball with the whole world watching! For me the important part is that what happened here NEVER happens again. I'm referring to the "imperfect investigation" of course. Whatever happens now to the main suspect is not so relevant for Aruba anymore. That's what we call "poetic justice" or "Karma". Now, the "hot potatoe" is in the hands of the minister of foreign affairs of The Netherlands who doubles as the representative of foreign affairs of the Kingdom. Let them handle it. Ricardo E. Yarzagaray ‎@ Renee: Maybe you should do the lecture in The Hague NOT in Aruba. Renée Gielen ‎@Vivian, that is what I mean. This is even not about 'no body no case', it is about investigating. Under US pressure, Aruba did not investigate the American side of this story in the early days and from there on. This was obstructed by FBI who were there from moment one. And I don't mean that as an insult to Aruba, because I am still convinced that Aruba did what Aruba could do. Beth Holloway, however, with all respect, stated from the moment that she arrived on Aruba, that she did not want any local police interference. She made that very clear on different occasions. Why? Renée Gielen ‎@Ricardo: why the Hague. The Hague was under pressure in june 2005 and made it very clear that this was an internal Aruban affair. Didn't they? You won't hear from them. But I read in Amigoe yesterday about the TGO on Aruba, created after my friend and collegue Poentje was killed. Wished that existed in 2005, then the case would have been solved. But everything in life is a learning process, as is this. Ricardo E. Yarzagaray Anybody that contents that the investigation was not prioritized by The Hague from day 1 is simply making a fool out of themselves. Wheter or not there was US pressure are questions that should be answered by The Hague since the US pressure would most probably be directed against Aruba but THROUGH The Hague! Vivian Wever Within 24 hours of the case I had already concluded that it would be a difficult unsolveable case. Why? Because it is highly unusual ( I follow a lot of true crime cases) that all the witnesses or last persons to be with the person who disappeared left the island, and could not be interviewed. What makes it even weirder it that these kids had graduated from high school so they were going to college. Having studied in college in the US myself I know that kids leave as far from their home as their parents can afford to go to college. So they would be scatterd allover the US. With the very limited means of our country and without knowing who they are they could not be interviewed. Vivian Wever I will leave it here as Tito might be getting upset that we are cluttering his wall! Ricardo E. Yarzagaray Tito is loving every minute of this. LOL! Tito Lacle Viv. How could I not have u on my wall! Such a classy one. Ricardo E. Yarzagaray ‎@Renee: Why The Hague? Really? You mean other than the obvious? Ok, lemmie give one angle; when Natalee went missing the Aruban born Attorney General was in Holland because of legal problems of her son so the only one 'at the helm' of the prosecutor's office in Aruba was Karin Jansen who was the head prosecutor (and good friend of the Van der Sloots?) stationed in Aruba for a 3 or 5 years, remember? Now, you can try and convince yourself about chain of command etc. but everybady knows about the bad blood and in fighting in the prosecutor's office. So, when Natalee went missing Karin Jansen 'did the damage' or do you think that she followed instructions of her 'boss', the attorney general Croes Fernandes Pedra? She got her orders from The Hague directly! Everybody knows that (except you maybe?). Maybe you are also oblivios to the fact that when the attorney general came back to Aruba after a week or so all freggin' hell broke lose in there. Remember? However, it was already too late. Ricardo E. Yarzagaray In that letter she corrects false statement of facts and asserts that she was not informed by Karin Jansen about the arrest of those 2 poor black security guards!!! A 15 MINUTE SCHEDULED MAINTENANCE LAST NIGHT TURNED INTO 12 HOURS. SORRY ABOUT THE DOWNTIME. EVERYTHING SHOULD BE OK NOW. It appears to me the motion for "Summary Judgement" is still on -- just delayed until 3/11/11. The pre-trial and actual trial dates would then become moot. Page created in 6.199 seconds with 19 queries.